Imazalil and thiabendazole are post-harvest fungicides. 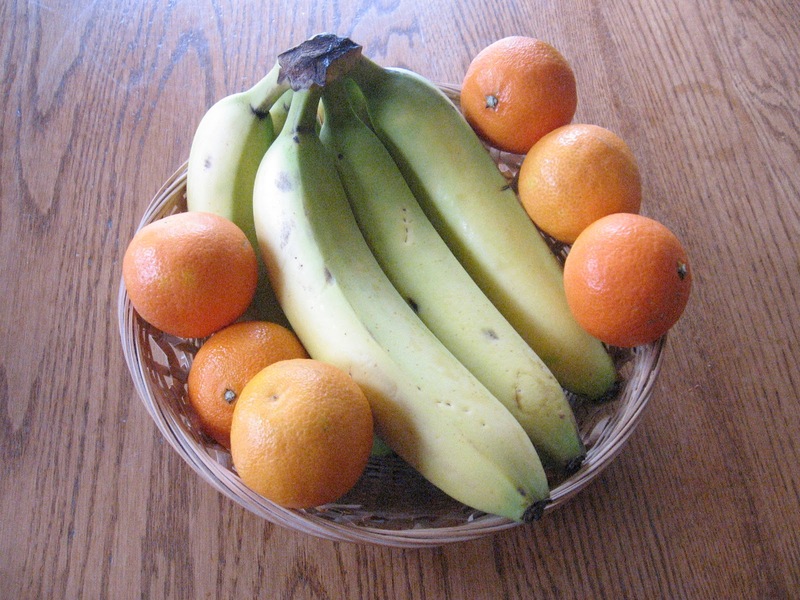 They are often found when analysis is carried out on fruits like bananas, oranges, clementines, citrus and many others. Washing these fruits before peeling them reduces contamination and removes part of pesticides. Effective and toxic to high doses! Post-harvest treatments with fungicide prevent fruits from mold and fungus. There is clear evidence of their effectiveness but, what about toxicity? According to EPA (Environmental Protection Agency), imazalil and thiabendazole are classified as ” likely to be a carcinogen in humans” at high doses. Imazalil is also genotoxic, meaning that it induces DNA damage. Thiabendazole is a potential endocrine disruptor at high doses meaning that it disrupts the hormonal system. Especially take care to children because the maximum dose may be reached if they consume a lot. Acute and chronic reference doses are determined for each pesticide. An acute reference dose or ARfD is defined as an amount of a pesticide residue in food that can be ingested over a short period of time, one day for example, without health risk for the consumer. For chronic reference doses, the daily oral exposure is evaluated for a chronic duration (up to a lifetime).The tolerable dose is proportional to body weight, so the result is expressed in milligrams of pesticide residue per kilogram of body weight per day. According to EPA (Environmental Protection Agency), acute and chronic doses for thiabendazole are 0.1 mg/kg/day (milligrams of pesticide residue per kilogram of body weight per day). Imazalil is more toxic. The acute reference dose is 0.013 mg/kg/day and chronic dose, 0.03 mg/kg/day. The Maximum Residue Limits or MRLs refer to the maximum amount of residues that is permitted to be found on food products. A quantity below the MRLs indicate good agricultural practices. The respect of the established LMRs reduces potential risks to human health. Each pesticide is evaluated and a LMRs is assigned according to a type of food. Many organizations fix these LMRs: European Commission, Pest Management Regulatory Agency (PMRA) of Health Canada and FDA in USA. If the amount of pesticides exceed the LMR, an intervention will be made to the farmer. Don’t hesitate to eat fruit! The benefits for the health exceed the effects caused by the pesticides exposure. According to a study, washing fruit remove 50% imazalil and 90% thiabendazole. You can add one tablespoon of soda to one liter of water, then soak fruit for few minutes and rinse. To reduce exposure, you can consult a list of the fruit and vegetables most contaminated, EWG’s 2015 Shopper’s Guide to Pesticides in Produce. With this list, you can decide to buy biological food instead of the most contaminated fruit and vegetables.